WestJet today announced it will launch new non-stop service next spring to London (Gatwick) a total of four times daily from six Canadian cities: Vancouver, Edmonton, Calgary, Winnipeg, Toronto and St. John’s. These new routes represent WestJet’s first non-stop service to London, and the only non-stop service from Winnipeg to the United Kingdom. *Some restrictions apply. Please see westjet.com for details. Advertised taxes and fees for European destinations may fluctuate based on exchange rate. During peak periods from early May to early October, Vancouver service will operate six times weekly, Edmonton will operate twice weekly, Calgary five times weekly and Winnipeg once weekly. Flights from Toronto and St. John’s will operate once daily. For details, please visit westjet.com/londongatwick. WestJet’s non-stop flights from Canada to London all operate as overnight flights leaving late afternoon or evening, which is ideal for travellers connecting to all six airports from other regions in Canada. Some 45 airlines operate from Gatwick airport, offering WestJet guests low fares and easy connections to and from approximately 200 destinations in 90 countries, more destinations than from any other airport in the UK. Located just 30 minutes from all of Central London’s many attractions, Gatwick is also one of the easiest London airports to navigate, with a monorail connecting its two terminals. With the exception of flights from St. John’s, which will operate on one of the airline’s Boeing Next-Generation 737s, all London flights will be operated by one of WestJet’s four 767-300ERW extended range aircraft. Featuring a new teal and blue maple leaf-themed logo, which will eventually appear on all WestJet aircraft, each 767 seats 262 guests and has a range of approximately 11 hours. The aircraft will include a Plus cabin with 24 premium seats in a two-by-two configuration, hot meals and all other amenities associated with Plus. The main cabin has 238 seats, with two seats on either side of the aircraft and three in the middle. By next spring all four 767s will be equipped with WestJet Connect, the airline’s new inflight entertainment and wireless connectivity system. 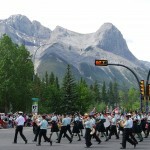 Banff National Park, AB – Mt. 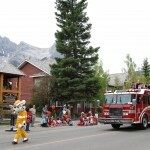 Norquay’s third annual Santa Shreds for Free takes place Christmas Day, 2014 offering a free day pass to those that arrive fully dressed as Jolly St. Nick, Mrs. Claus, an Elf or even a Reindeer. “It’s less expensive to go buy a cheap Santa Suit than to pay for a lift pass, and you get to keep the suit,” said a Norquay guest taking advantage of the offer in 2013. High Alpine Dining – The newly renovated Cliffhouse Bistro, will be open daily throughout the holiday season starting December 27th to January 4th. Norquay guests are invited to ride the historic North American Chair and take in legendary views of Banff whilst savoring the inspired flavors of new Executive Chef Morne Burger. Experience winter in Banff from a whole new perspective. No longer exclusive to skiers and snowboarders, winter sightseeing from the North American Chairlift is available all season long, offering foot passengers the option of taking the chairlift up and down the mountain. It’s going to be a great winter at Mt. 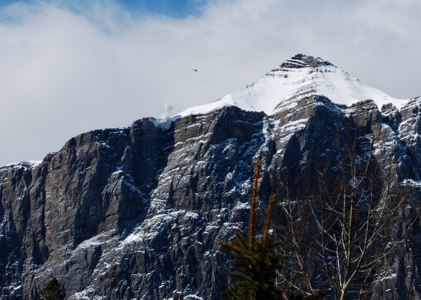 Norquay – discover all that Banff’s closest resort has to offer. 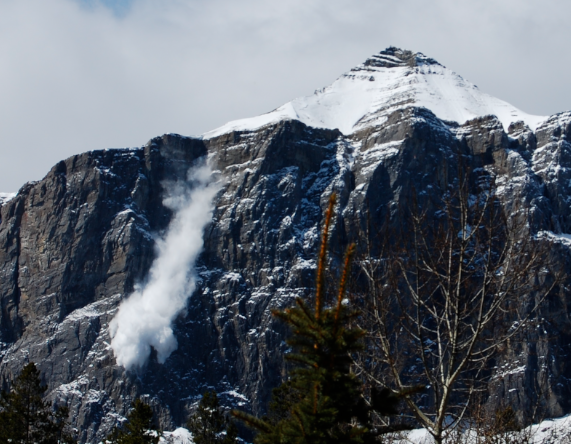 What’s happened to the Kicking Horse Powder Express? 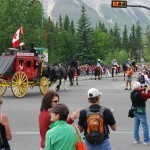 I can’t tell you how many calls and emails we have received over the past few weeks from return and new guests regarding the Kicking Horse Powder Express. 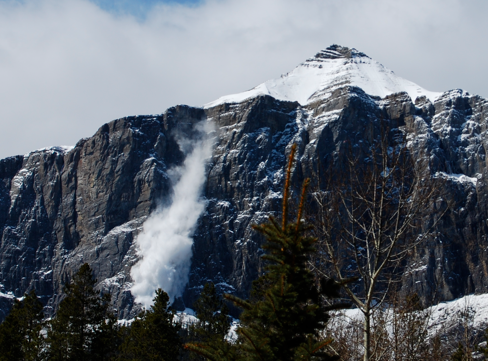 There seems to be a lot of confusion over what the Kicking Horse Powder Express is this season. Where has it gone? What has replaced it? How much does it cost? We have already spent a lot of time answering these questions and to make it easier and to save us some time answering individual calls and emails regarding this topic, here are some questions and answers below. All of our guests seem disappointed and frustrated about these changes. Feel free to comment on this post as we would like to hear your thoughts. 1) Is the Kicking Horse Powder Express operating this season? The Kicking Horse Powder Express with the dedicated return transportation and lift pass included at a rate of about $100 including all tax is no more. 2) Is there a replacement to this service? Yes. There is a scheduled service which is about $100 plus tax return for just the transportation and in addition to this, you must purchase the lift pass. There is no discount on the lift pass – you must pay full price making this ski-away day quite pricey compared to the old service. 3) How is this service different? This service is not a dedicated Powder Express ski shuttle as in previous seasons. 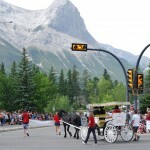 It is a scheduled service connecting Canmore, Banff, Lake Louise, Golden and Kicking Horse Mountain Resort. The advantage of the scheduled service means that minimum numbers are not required. The return time of 3:30pm means that you do not get to enjoy a full ski day on the mountain but you do have the convenience of catching a one way shuttle for a reasonable price. 4) What is the schedule for this new service? 5) When does the above new service operate? Daily: December 20th, 2011 through March 31st, 2012. 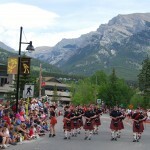 6) Are there other ski-away options out of Banff? Yes, the Panorama ski bus is operating again this season with a minimum of 4 required to guarantee a departure. We are finding most guests are booking this ski-away day instead this season to experience another ski resort in the Canadian Rockies at a fraction of the cost. 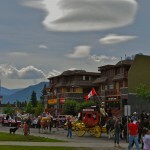 7) Will the original Kicking Horse Powder Express be offered for the 2012-2013 season? We have no idea but hope so! If it does, we will be sure to get the word out! ❓ How do I book this new service? Happy Holidays to you all and thanks for reading. We hope that we have answered your questions okay? Remember to visit www.SkiHolidaysCanada.co.uk for ski package deals and specials. What a great start we have had to 2011 with about a metre of snow received by the ski resorts across Western Canada over the past week! 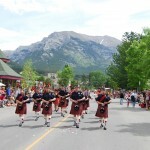 Now that we are into 2011, the busy summer season does not seem so far away. With the early-bird deals starting to “fizzle” out or become less attractive for the summer, especially with the Rocky Mountaineer train packages, now is a good time to get a good deal on a 2011 spring, summer or autumn/fall package. Rocky Mountain Holidays have brochure downloads in PDF (Portable Document Format) and as always, we have provided the links below for easy reference. These packages can be easily customised based on your preferences (as long as the changes fit in with the rail or cruise schedule). Be sure to take advantage of specials such as free nights and activities in Vancouver – value added rather than discounts are the way to go. 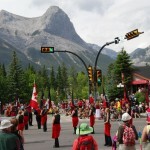 Self-drive holidays are becoming increasingly popular in the Canadian Rockies as it gives you the independence but you also have full support when you are out here and the peace of mind that you won’t struggle to find accommodation during the peak season months in the Canadian Rockies. When booking a self-drive package, check to see if you have Loss Damage Waiver insurance coverage with your credit card provider as this can save you about $30 per day. Also, check out what the one way drop-off fees are from Vancouver to Calgary for example. When you book independently they can be as much as several hundred dollars whereas through a tour operator, typically the rates are about $75-$100. Other things to look out for if you are shopping around are hidden fees such as “credit card surcharges”. This is a common technique used by some companies to squeeze some extra cash out of you after you have already agreed to the booking. It is also good to ask the straight question – “what extra costs will I have to pay in additional to the package price?”. Any good tour operator will be able to list these for you immediately so you know where you stand with the total of your holiday cost. 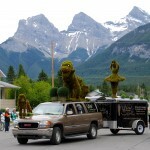 Here are the holiday brochures for 2011 – available for download through RockyMountainHolidays.com. Wishing you all a healthy and happy 2011. The summer seems to have flown by this year. 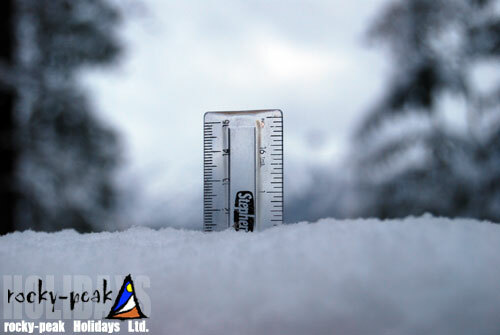 It’s September 30 2010 and less than 2 weeks ago, the ski resorts in the Canadian Rockies received 20cm of fresh snow and we experienced way below average temperatures. The Canada Ski Blog posted some photos of this September snow. 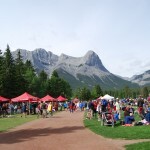 This last week, we have experienced above average temperatures (in the 20s°C) with sunny skies giving us another opportunity to take advantage of the many summer activities in the Canadian Rockies. 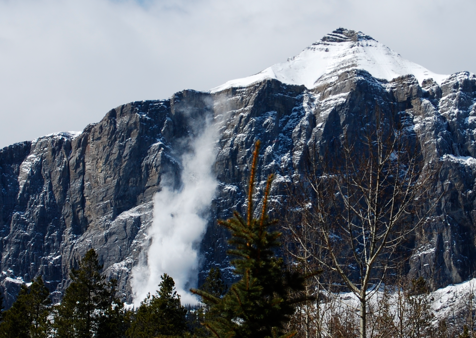 This is typical of the Canadian Rockies as we are in the mountains at higher elevations. 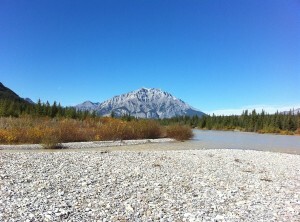 Just check out the colours in the recent pictures taken in the Canadian Rockies. This is what we love about the autumn. The Rocky Mountaineer train departing tomorrow from Vancouver, October 1st 2010, is the company’s largest departure in their history, and will set a record for largest passenger rail train in North American history – a total of 1331 guests! This is one of the last Rocky Mountaineer train departures for 2010, but we already have 2011 packages in place with early-bird savings of up to $1,400 per couple. 50%OFF Panorama Lodging early-bird deal ended today but we have many early-bird deals for the 2010-2011 winter season, some of which are soon to expire. We are seeing some of the best ski accommodation deals in Banff this year with free nights accommodation and free ski deals for stays of 7 or more nights. The early-birds will definitely be getting the best deals on ski packages and summer packages. We hope you had a great summer and we thank you for reading our blog. We always love to hear from our readers so please feel free to post any relevant comments you may have. Wishing you safe and happy travels. 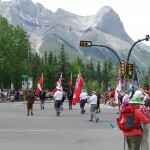 Every year on July 1st, Canada’s birthday is celebrated across the country. 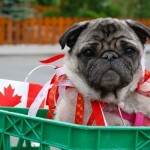 Canada will be 143 years old on Thursday so make sure you get out and celebrate with us! 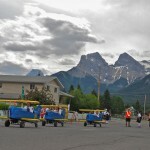 The Town of Canmore organizes the Canmore Canada Day Parade. 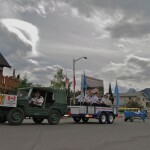 The parade starts at Main St. (8th street) and Railway Avenue at NOON. 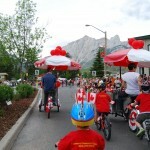 The Canmore Canada Day Committee is in need of help – They need people to help out with set up and tear down at Centennial Park. 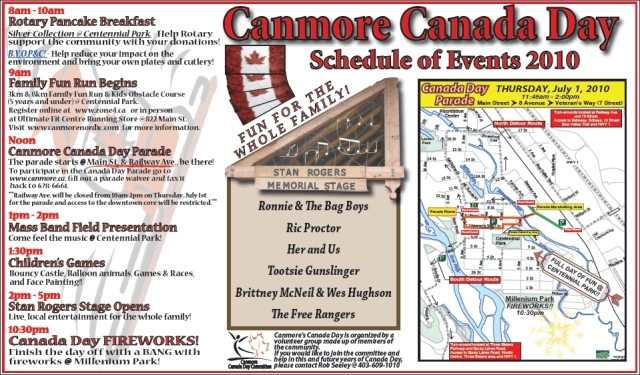 – Wed, June 30 at 10am – 4 people required to pick up equipment from the Canada Day Storage and transport to Centennial Park. – Thursday, July 1 at 5:30 – 12 people required for tear down and four to take equipment back to storage. 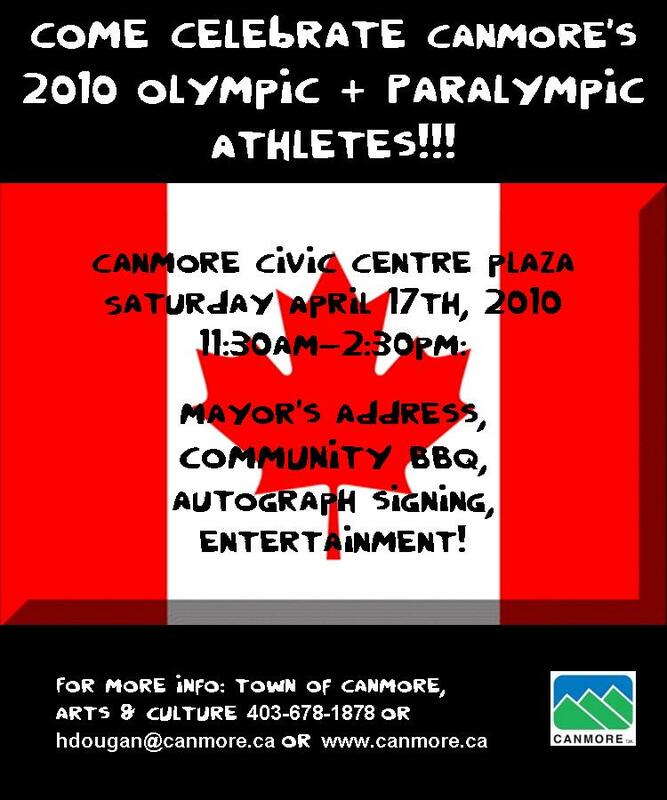 The Canmore weather is set to be great for this event – see you there! 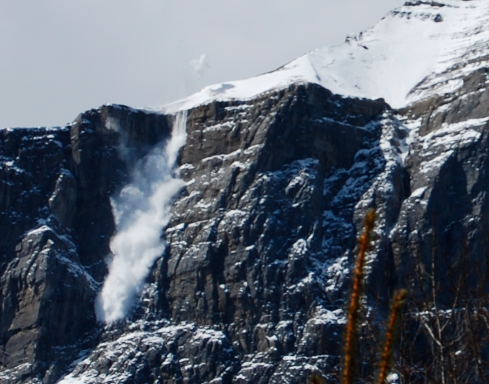 On Saturday April 10 2010 there were some loud explosions in Canmore in the Canadian Rockies which rattled most of the residents’ windows: they were bombing the east end of Rundle Mountain in Canmore to trigger controlled avalanches. 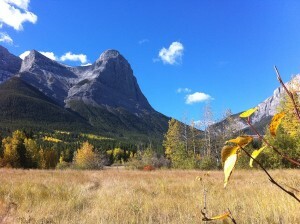 Rundle Mountain is about 25km long and stretches all the way to Banff from Canmore. 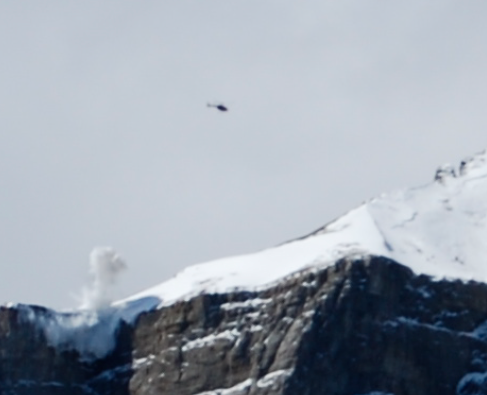 Take a closer look and you can see the helicopter drop the explosives. 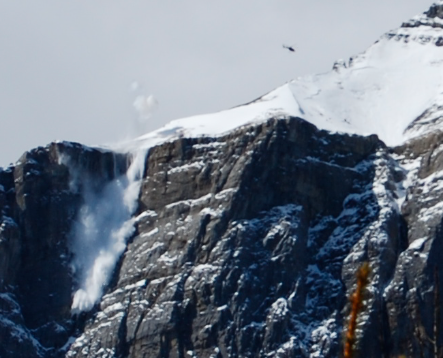 The explosives then trigger an avalanche down Mount Rundle’s east end. It took some time for the dust and debris to clear. 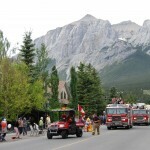 Did anyone else here the bombing of Mount Rundle in Canmore on Saturday? I am curious how far away the explosions could be heard. If you did, post a comment below! 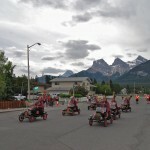 Last night we received a nice amount of snow in Canmore (Canadian Rockies) as our picture indicates. For this time of year, this kind of snowfall is normal and with the cooling temperatures as the Canmore average temperatures indicate, most of it will likely stay! 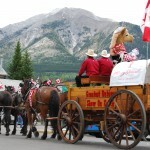 News and train travel specials in the Canadian Rockies and Western Canada.